If you've fallen so far behind on bills that there's no way you'll ever get caught up, it's time to explore your financial options. At this point, you're likely getting calls from collection agencies and creditors, who may even attempt to contact your employer or family members. While many people equate bankruptcy to financial failure, it is quite possibly the best way to eliminate unmanageable debt and get a fresh financial start. Chapter 13 bankruptcy is one such option, but is it the right choice for you? First, we have to determine whether you would benefit from filing for Chapter 13 or Chapter 7 bankruptcy. Chapter 13 is often the best alternative if you earn ore than the median Washington income or own property you would prefer to keep, like a house. You can contact one of our Olympia bankruptcy attorneys and find out whether you qualify for Chapter 13. If so, you may be able to eliminate all (or most) of your unsecured debt so that you can get caught up with everything else. With Chapter 13 bankruptcy, your debt is consolidated into a monthly payment plan with a term of 3 to 5 years. After this period is expired, all of your remaining unsecured debt is discharged. This includes credit card debt and medical bills. Can you imagine what your life would be like without having to worry about unmanageable debt ever again? Best of all, Chapter 13 may allow you to stop foreclosure on your home while still discharging your unsecured debt. Contact one of our Thurston County bankruptcy attorneys today and find out whether you qualify. Put a stop to the harassing phone calls, eliminate unmanageable debt, and start improving your credit score with help from our team of highly skilled attorneys. Chapter 13 bankruptcy is a viable solution for anyone that wants to eliminate debt without losing their home equity, retirement, or personal property. To find out whether you qualify for Chapter 7 or Chapter 13 bankruptcy, one of our lawyers will administer a means test. If you earn more than the Washington median income, then Chapter 13 is your sole option. When your Olympia bankruptcy lawyer petitions the court on your behalf, all debt collection immediately stops. Bill collectors can no longer contact you in any way. Home foreclosure and repossessions also stop. This affords you time to consider your options. You will also enjoy some peace and quiet in your life when creditors can no longer call you at home or at work. When you file Chapter 13, you can incorporate mortgage arrears and penalties into your consolidation plan. This is one of the reasons why Chapter 13 bankruptcy is also called the “home saver plan.” This is especially appealing if your home at risk of foreclosure. Even better, your unsecured debt will most likely be wiped out entirely or significantly reduced if you simply maintain your payments for the 3 to 5 year term. It's common for bill collectors to tell debtors that they will lose everything if they file for bankruptcy, including their retirement, assets, and home. This is far from the truth, but it's a myth they're eager to maintain. In truth, bankruptcy is often the best way to save your home and protect your assets, all while getting a fresh financial start. Olympia is one Washington's most beautiful cities. There are a number of parks and nature conservation areas that make the area second to none in the state when it comes to nearby outdoor opportunities. Olympic National Park is a relatively short drive from the city, and it's recognized as one the most unique and biologically diverse parks in the United States. If you would like to learn more about the parks in Olympia, follow this link to the municipal website . When you get mired in debt, it seems like the only thing you have time to do is work and even then you still can't get ahead. Olympia residents are required to file for bankruptcy in the bankruptcy court of Western Washington, which is located in Tacoma and Seattle. This page details legal services and resources for the bankruptcy court , so you may find it useful. If you have questions, contact one of our Olympia bankruptcy lawyers and get answers. Answering this question depends on your current financial situation and how much you earn. If you qualify, you can consolidate your debt and still discharge most, if not all, of your unsecured debt. Most people's consolidation plans last 60 months, but they can run from 3 to 5 years. We used a means test to figure out the duration of your payments. While this information may seem a bit complicated, Chapter 13 bankruptcy is relatively straightforward. Talk to one of our lawyers today, get the facts, and then decide if this option is right for you. If so you can stop the harassing phone calls and get back on your feet financially. A Chapter 13 bankruptcy is a debt consolidation plan administered through the bankruptcy court. It is much more powerful than typical debt consolidation plans conducted outside the bankruptcy law. It results in a discharge, which is a federal court injunction prohibiting creditors from every trying to collect a debt again. More debt can be consolidated in a Chapter 13 than in typical debt consolidation plans. For instance, you can consolidate car loans, back taxes, back child support, mortgage arrears and student loans in a Chapter 13. Basically all debt has to be dealt with in the plans. Creditors have to agree to be part of the plan. If they get notice of the Chapter 13 case and do not file a claim with the court, they will lose their right to collect the debt forever (unless it is a kind of debt that can not be discharged). The Chapter 13 process starts with filing documents showing debts, property, income, expenses and other financial details with the bankruptcy court. A debtor also submits a repayment plan. Debt collection must stop once the case is filed. A trustee is appointed to take monthly payments and disburse the money to creditors. The debtor attends a meeting of creditors a month after filing the case. Creditors rarely attend this hearing. The trustee swears the debtor in and asks questions about the documents, looks over bank statements, pay stubs and tax returns and makes sure everything is accurate and that the plan follows the law. At this point the trustee can demand changes to the plan. Creditors can also demand changes. The trustee and creditors demand changes by filing objections to the plan with the court. A bankruptcy judge must eventually decide whether the debtor has to submit to these demands. 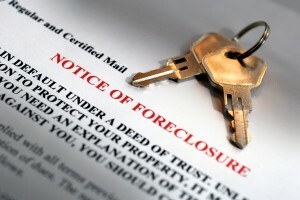 Usually these matters are worked outside of court, with a debtor’s attorney advocating for the debtors point of view, but sometimes an agreement can not be reached and it is resolved at a hearing before a bankruptcy judge. Usually a debtor does not have to attend these hearings and the attorney will appear and argue on their behalf. To be confirmed, a plan has to reflect the best efforts of a debtor to pay back as much debt as they can. The plan can not abuse the bankruptcy process. As with a Chapter 7, a debtor filing Chapter 13 must submit a means test that shows how much they can afford to pay every month. The means test is based on the last six months income and certain tightly defined expenses allows by law. If this means is not fair, a debtor can claim special circumstances. It can be confusing basing a plan on the last six months and it is hard to know what someones income will look like for the next five years. A bankruptcy attorney helps a debtor do their best and guide the case to confirmation, always trying to get the best deal possible for the debtor. If someone is behind on a mortgage, the plan has to catch up on the payments within five years. Some debt, such as back child support or some back taxes, must be paid within five years for the plan to be “feasible”. Unfeasible plans cannot be confirmed. There is much more to think about in a Chapter 13 than a Chapter 7, but once the case is confirmed, a debtor knows what the next three to five years will look like and will most likely complete the plan as long as they make the payments. It is extremely rare for bankruptcy judges to confirm plans for debtors who are not represented by an attorney.